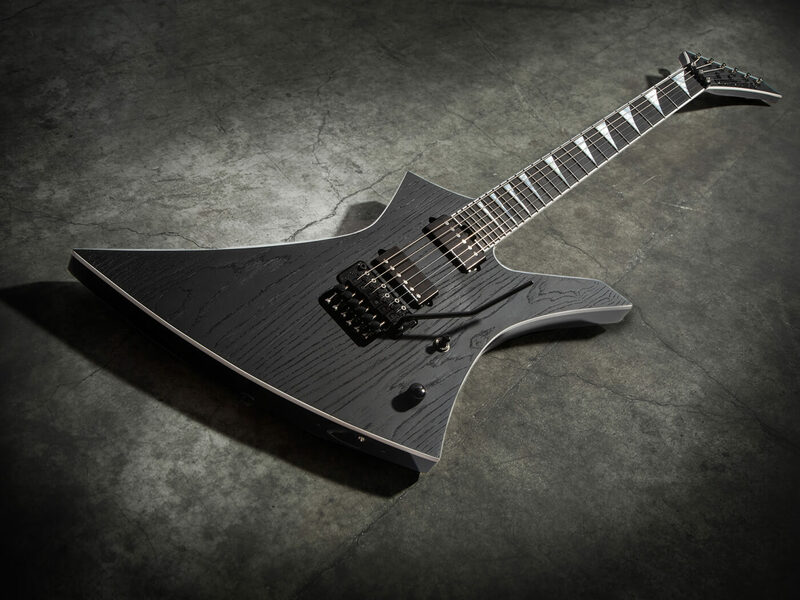 Jackson has kicked off its NAMM plans with a slew of new signature models. 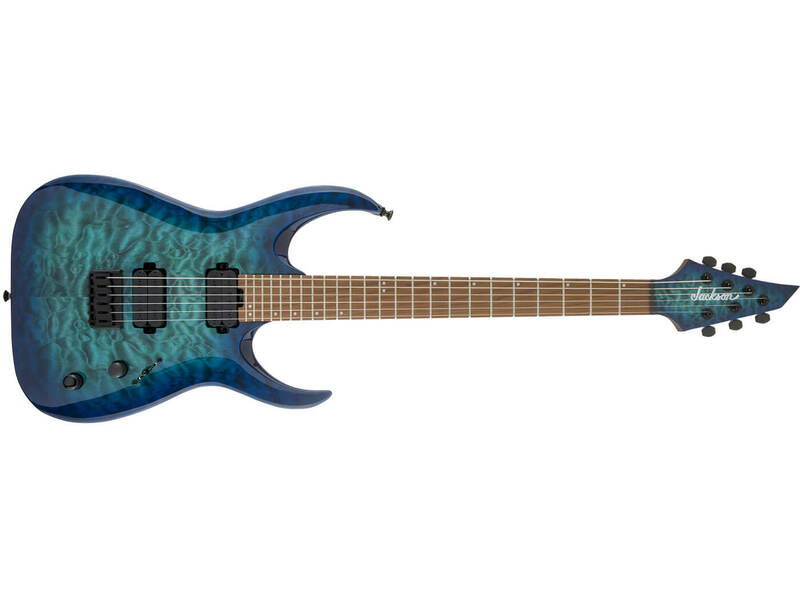 Headlining the selection is a menacing, brand-new signature guitar for Arch Enemy’s Jeff Loomis. There’ll also be new signature guitars for Def Leppard’s Phil Collen, Revocation’s Dave Davidson, and Misha Mansoor, among others. Jeff Loomis is best known for his exploits with prog-metal group Nevermore, and acclaimed melodic death metal band, Arch Enemy. His signature Kelly axe is decked with a variety of premium appointments. These include an ash body, a sandblasted ash top – with a sleek Black finish – as well as a one-piece maple neck-through-body. The guitar is loaded with two Seymour Duncan Jeff Loomis Signature Blackouts humbuckers. The neck pup is voiced for smooth, glassy leads, while the bridge pup packs an aggressive bite and plenty of sustain. Wrapping up the instrument is an all-new Floyd Rose 1500 double-locking tremolo bridge system. This axe features some unique touches, including a caramelised mahogany body, a gorgeous claro walnut top, and a bolt-on two-piece quartersawn neck made from caramelised flame maple. Its tone is derived from three single-coil pickups: a DiMarzio DP427 pup at the bridge, a custom DiMarzio Fast Track1 pup at the middle, and a PC1 Sustainer Driver pup at the neck that caters for plenty of sustain. Wrapping up the axe’s look is a Floyd Rose Original double-locking tremolo bridge system and classy satin gold hardware. Available in a Natural finish. Retails at £3,769. This seven-stringed beast is a new signature model for Revocation’s Dave Davidson. It features an angular caramelised ash body and a three-piece through-body caramelised maple neck. Davidson also teamed up with DiMarzio on his own signature Imperium 7 humbuckers – these slot in at the neck and bridge positions. The pickups are designed to deliver a defined, full-bodied tone that responds well to harmonics. Available in a Natural finish. Retails at £3,509. Djent ace Misha Mansoor will receive three Pro Series signature models that are designed for shredding. All three models feature a basswood body and a bolt-on one-piece neck that’s made from caramelised maple. They also come with a 20-inch flat radius caramelised maple fingerboard with rolled edges that improve playability. And in the electronics department, each guitar is loaded with two uncovered Jackson Uncovered MM1 humbuckers. However, the three models differ in terms of scale length, tonewood and finish options. The HT6 and HT6QM model feature a 25.5-inch scale length. The former will be offered in Matte Blue Frost and Satin Black, while the latter in a Chlorine Burst finish. The HT7, on the other hand, features a 26.5-inch scale length, and will come in Neon Orange and Blue Sky Burst finishes. The HT6 and HT6QM models retail at £679 each, while the HT7 model retails at £729. The Anthrax axeman’s signature model will now come in a stylish Candy Apple Red finish that’s matched with a white pickguard. Elsewhere, the guitar features a 24.75-inch scale, a mahogany body, and a through-body maple neck. It’s also capable of a wide range of tones derived from two Duncan Designed humbuckers: the HB-103B at the bridge and the HB-103N at the neck. The Pro Series Signature Phil Demmel Demmelition Fury PD and Pro Series Signature Phil Demmel Demmelition Fury PDT feature a mahogany offset body and a one-piece through-body maple neck. Both guitars also feature a 12- to 16-inch compound radius bound laurel fingerboard that’s lined with piranha tooth inlays. Each model is loaded with two humbuckers: an EMG 81 at the bridge and an EMG 60 at the neck. The former is designed to pierce through the mix, while the latter balances out chunky tones with harmonic clarity. The Pro Fury PD is available in a Red Tide Fade finish, while the Pro Fury PDT comes in a Snow White finish. Both models retail at £749 each.